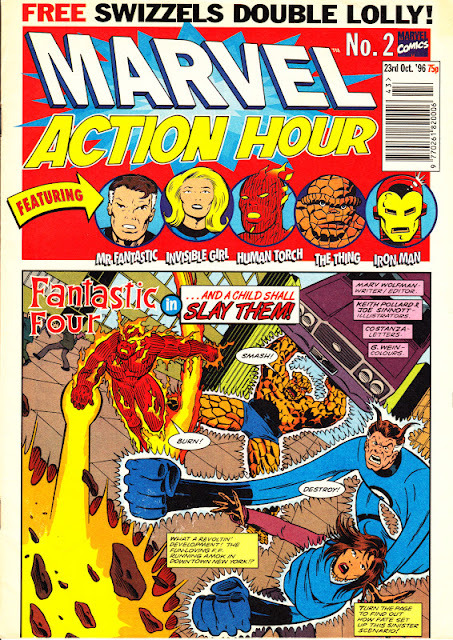 In October 1996, Marvel UK had one last crack at a traditional UK superhero comic. 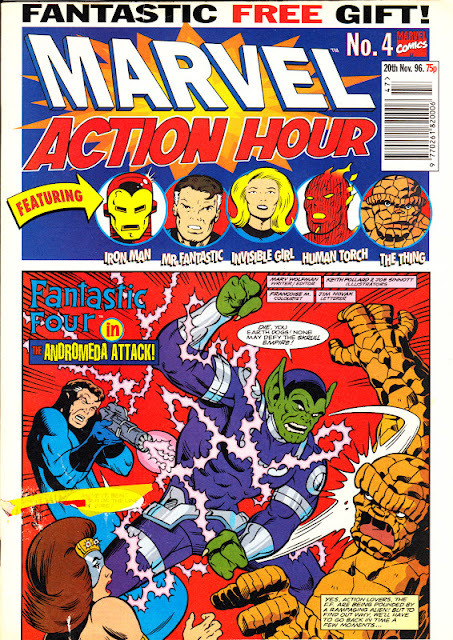 The fortnightly MARVEL ACTION HOUR was, of course, based on the animated TV series and (presumably) coincided with the show's broadcast on British TV. 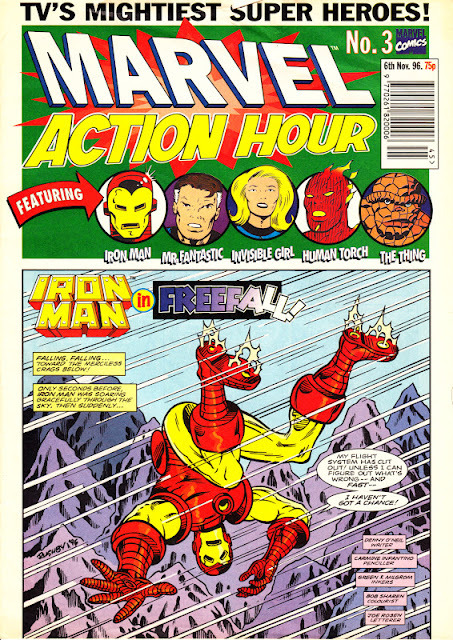 Surprisingly, neither the FANTASTIC FOUR nor IRON MAN contents were reprints of the US Action Hour comics (one for each segment and each lasting eight issues, dated November 1994 to June 1995) which were set in the TV continuity. 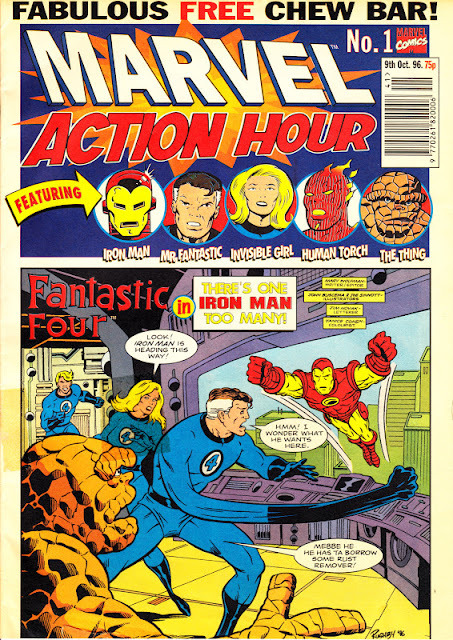 Instead, the strips reprinted had first appeared in the main FF and IM comics, dating from 1979 and 1982 respectively. Alan Craddock supplied new splash-page style covers (which, weirdly, included the credits for the featured strips). The freebies, cover-mounted to 1-2 and 4, were bargain-basement sweets, suggesting M-UK's free gift budget was exhausted. A fifth issue was previewed but never published.